Croatia is an exciting holiday destination with much to offer visitors, from the gorgeous, sandy beaches to the exciting cities, with their culture and history. There are many unique attractions to explore including a filming location for the popular HBO series Game of Thrones, turquoise, interlinked lakes and waterfalls and a castle with fairy legends. When visiting the country, enjoy guided tours of Croatia to get the best idea of this fascinating country, while staying in comfort in the many hotels and holiday rentals available. Enjoy reading about some of the best locations to visit in Croatia below. Many beautiful and historic sites all over Europe were used as filming locations in the popular HBO series, Game of Thrones, which is heading for its final season on HBO. Croatia is proud to host the location used for King’s Landing in the show. King’s Landing is located in Dubrovnik Old Town, where there are many other interesting places to visit with the countless tailor-made tours on offer. You can even enjoy a cruise on the Karaka, the ship on which Daenerys Targaryen sailed! Have fun exploring the narrow, winding alleys with a surprise around each corner, stopping off for refreshments in one of the many cafes and window shopping in the quaint boutiques. As part of a Game of Thrones tour, you also get the opportunity to sit on the Iron Throne in an appropriate costume and drink a dragon blood cocktail. 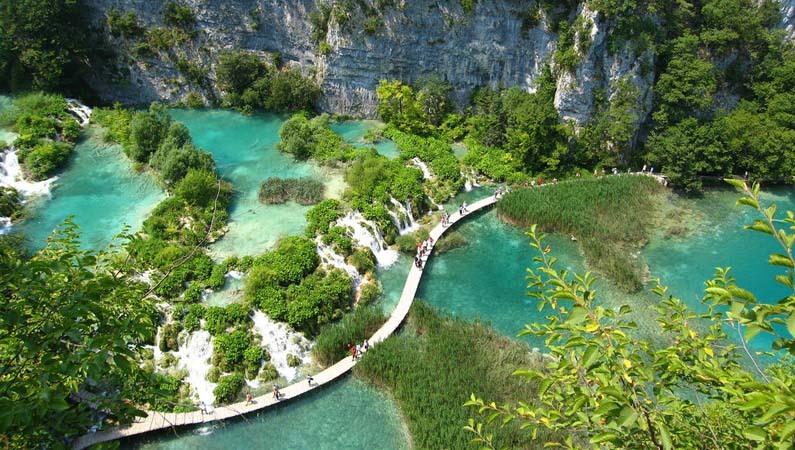 Heading inland and into the mountains, we now visit “Plitvice Lakes” in the Lika region of Croatia. These are a series of 16, interlinked mountain lakes and waterfalls, 12 of which are the Upper Lakes and four the Lower Lakes. The water is a beautiful turquoise, with pathways to cross the waterfalls between. The Plitvice National Park is a UNESCO World Heritage Site, but visitors are warned to never wander too far away from the paths. This area was reportedly the site of a skirmish between Croatia and Serbia in the Balkan wars, where landmines were placed. While Croatia has certified Plitvice free from landmines in 1998, there is the possibility of a few missed explosives in some remote areas of the park. Located near Duzluk in Croatia, Ruzica Grad is the largest fortress in the area. The origin of the castle is unknown, so legends have grown about the building, including that it was originally a meeting place for fairies, until a nobleman decided to build his fortified city there. 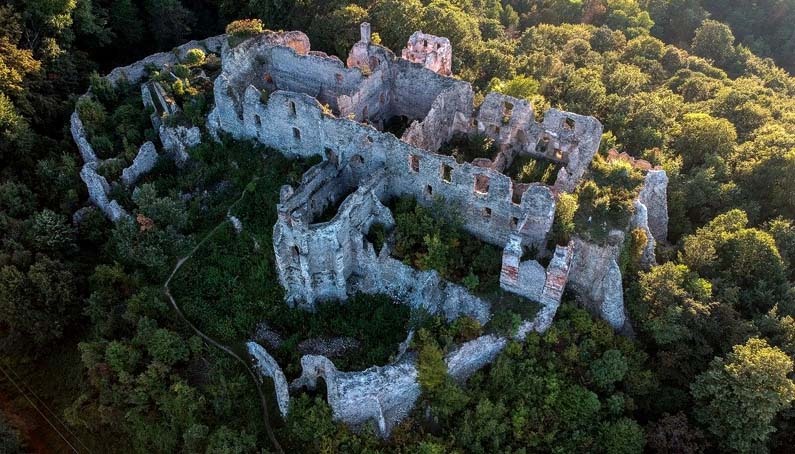 Whether fairies did, indeed, live there is naturally unknown, the castle still stands in its ruined state on Papuk mountain, with the Papuk forest surrounding it. The castle ruins can be accessed by hiking through the forest from Orahovica Lake. Have fun exploring Croatia this year and make memories of a lifetime.